There’s nothing like a fresh, ripe tomato in the summer. Your dog thinks so, too – his big, begging eyes say it all. But what our dogs think are delicious aren’t always healthy. So we have to ask ourselves if what tastes good for them is really good for them. Can dogs eat tomatoes? 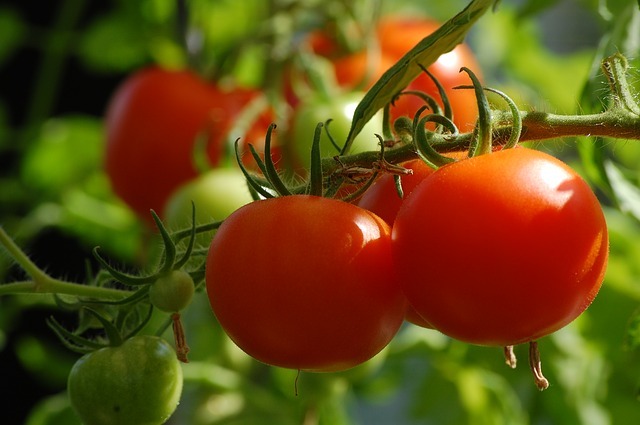 Tomatoes are one of the top reasons people get into gardening at home! It’s incredible what you can do with a tomato. Pureed, it’s a sauce. Sliced, it’s a salad. It can be a sandwich or a soup almost entirely on it’s own. They’re fried, baked, boiled – anything you can do with a food, you can do with a tomato. Even bite right into it like an apple. It’s a fruit, after all. Tomatoes are an excellent source of lycopene, an antioxidant that is said to reduce the risk of cancer and heart disease. They’re also high in potassium, folate, and vitamins C and K. For people watching their weight, they’re low in calories and contain a good amount of fiber. With all the nutritional benefits (and deliciousness) it’s no wonder you’d want to share them with your dog. Not all people love tomatoes. In fact, though Spanish and Italian settlers visiting South America were eager to take the plant home, northern Eurpoeans believed the plant to be poisonous and called it the “poison apple.” They weren’t entirely wrong. 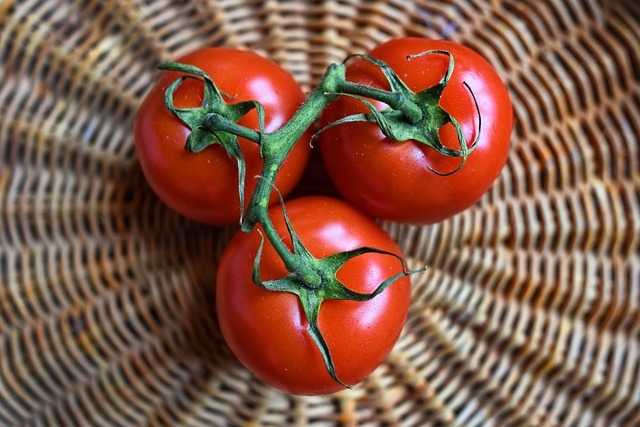 The tomato is a member of the nightshade family, many of which, like Belladonna and Mandrake, contain toxic alkaloids that have been used for centuries to make poisons. It also didn’t help that the tomato would soak up the lead found in the Europeans’ pewter plates, causing lead poisoning and death. 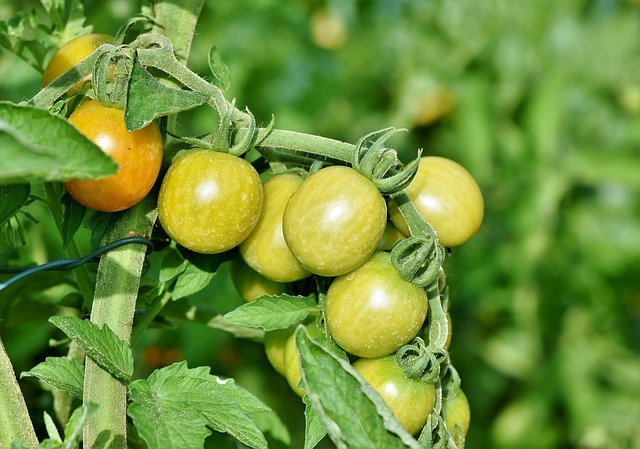 Tomato plants do contain two alkaloids, tomatine and solanine, which can be found in the leaves and young fruit. However, they’re very mildly toxic. You’d have to eat about a pound and a half of tomato leaves for any harmful effects to become apparent. 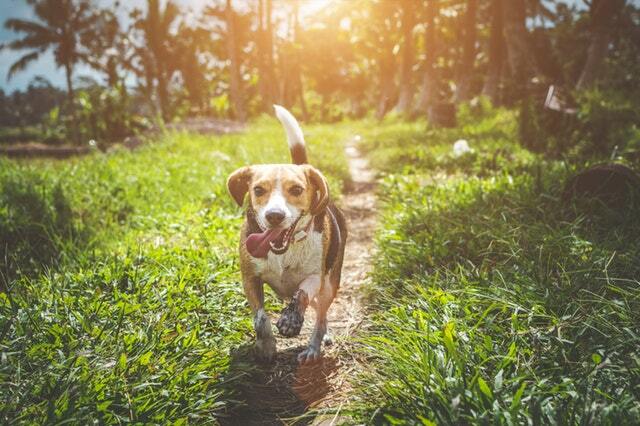 The leaves, stems, and green fruit are toxic for dogs, too. How much it would take to be harmful to your dog would depend on factors like his weight, age, and overall health. So if you have a dog that likes to eat plants, it’s another good reason to keep him out of your garden. A dog who has consumed the toxic parts of tomato plants can suffer from gastrointestinal upset, weakness, and some loss of body control. Let your vet know right away, and they can help treat the issues. Eating enough tomato plant or unripe fruit to cause death is unlikely, but your plants should still be off-limits to your dog. Yes, dogs can eat ripe tomatoes. The ripe, juicy, red fruit of the tomato contains no tomatine and is totally safe for both you and your dog. Though the inside is squishy, be sure to cut the firmer parts into bits small enough that they’re not likely to cause your dog to choke. Smaller dogs will need smaller pieces. If you’re thinking about canned tomatoes, check the salt content. Some will even say “no salt added” on the front label. Whole tomatoes, even the squishier canned kind, are best avoided, especially for little dogs. If you’re thinking about sharing a tomato-based product with your dog, like tomato sauce or tomato soup, consider the other ingredients. Alums, like onion and garlic can also be toxic to dogs and are often found in pasta sauces with tomato. If you’re not sure how much, it’s best avoided altogether. Many of these products also contain sugar, salt, butter or cream. Though not harmful in small quantities, we ought to consider our pets’ waistlines and avoid excess salt, sugar, fat and calories. 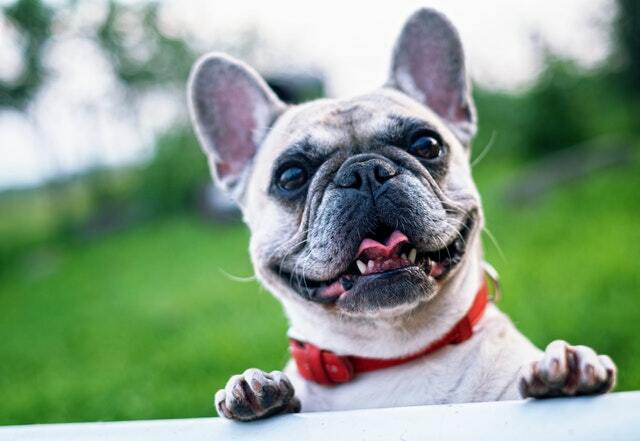 Read more about how obesity affects dogs here. “‘Excuse me, if I go straight this way, will I be able to reach your heart?’ These cheesy tomato biscuits aren’t as cheesy as that pick-up line but your doggy will feel the love. 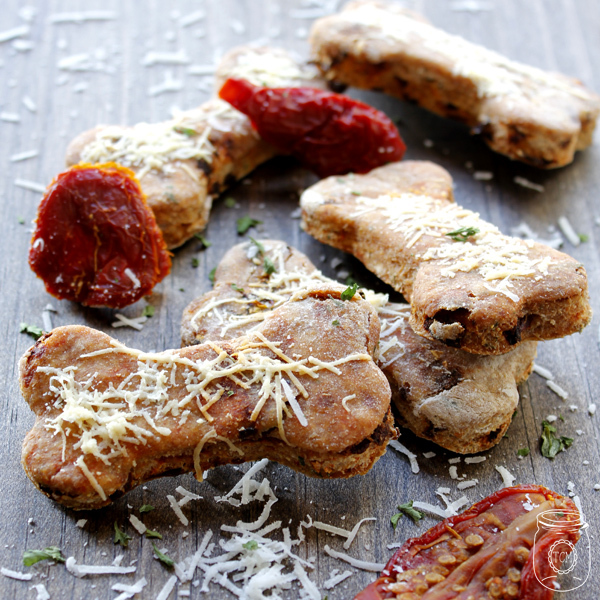 These crunch little bones that have been baked with plump chopped sun dried tomatoes…grated cheese….a blend of whole wheat flour…cornmeal and chopped parsley will make your pup sit up and beg…roll-over and give tons of wags and kisses. 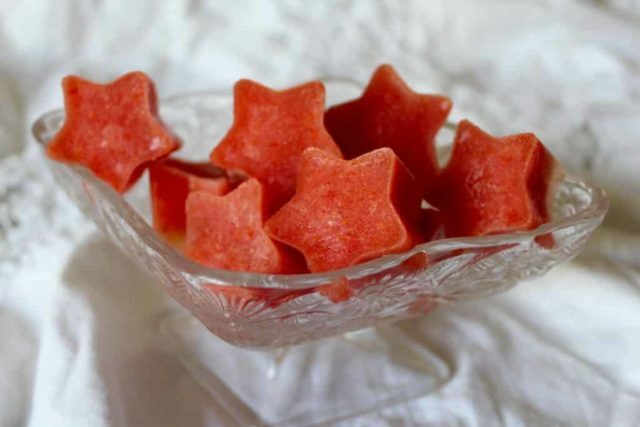 “I love making dog treats because I like to know exactly what’s in it. But I also don’t want to spend more than 15 minutes because not going to lie, I’m lazy. The great thing about this recipe is you probably already have all the ingredients on hand and takes only about 5 minutes. Yay for you and your dog!